It’s not often that an artist and a composer meet at a Bar Mitzvah, and the result is a song destined to greet thousands of cathedral visitors during a papal visit. But when artist Meg Saligman described her vision for a collaborative art installation at the Cathedral Basilica of Saints Peter and Paul in Philadelphia, Betsy Alexander could almost hear the musical accompaniment playing in her head. The result was “Help Us Mary”, her hauntingly beautiful complement to Saligman’s Knotted Grotto. We first introduced you to Betsy Alexander this summer, when we toured the fabulous home she shares with her artist husband Burnell Yow! 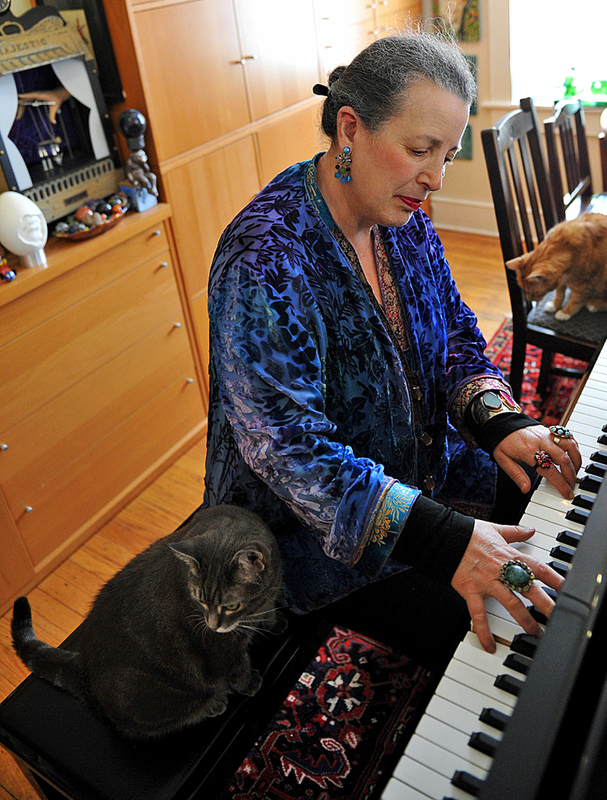 and a phalanx of cats, including internationally celebrated Nora the Piano Cat. 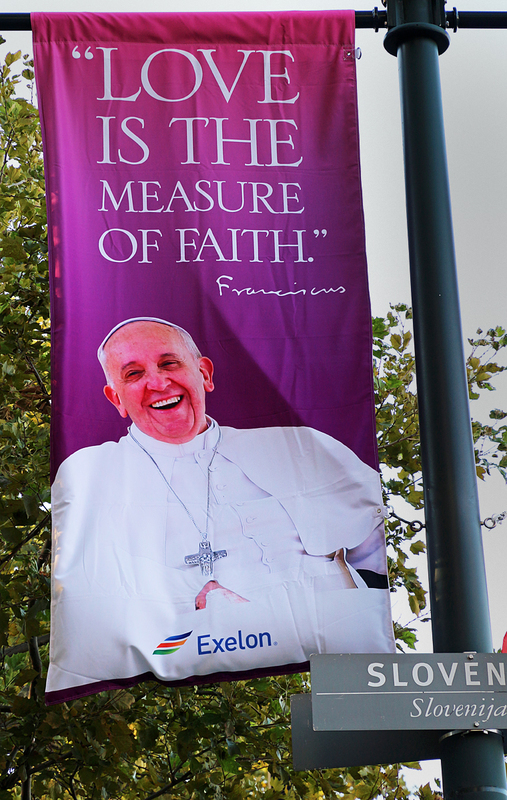 With our cars safely parked and no festival tickets in hand, we had no intention of joining the teeming mob around Pope Francis this weekend. 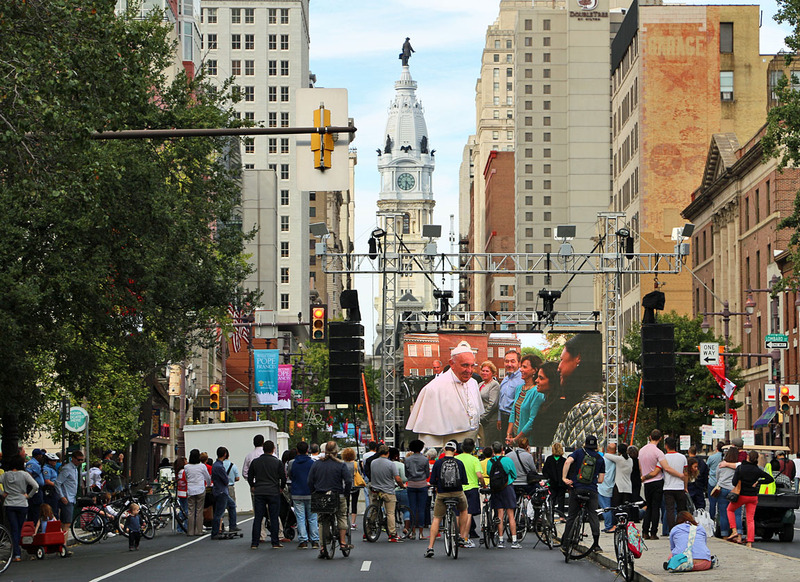 But, hey: After staring out at the half-empty South Philly streets on Saturday (“Just look at those empty parking spots!”), we couldn’t sit home any longer. Like most South Philadelphians who didn’t get Festival tickets or flee to the shore, we’ll be home clutching our parking spots this weekend. 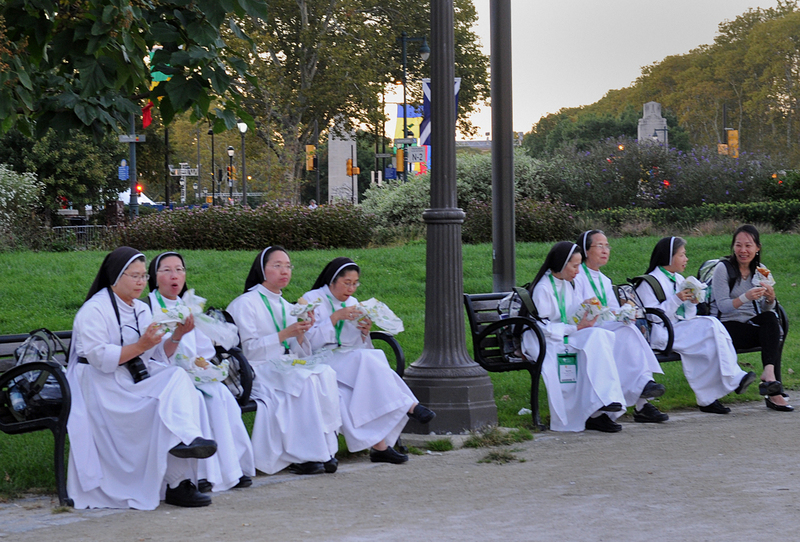 I THOUGHT THERE’D BE CHEESESTEAKS….